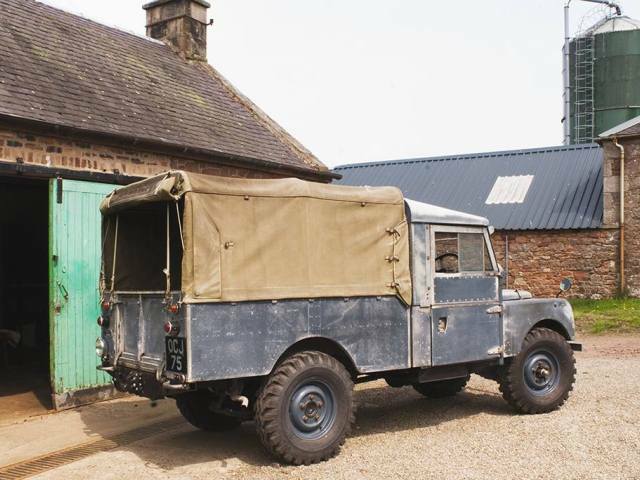 1952 Land Rover Series One 80"
I have owned this 1952 Land Rover Series One 80" for over 20 years now. 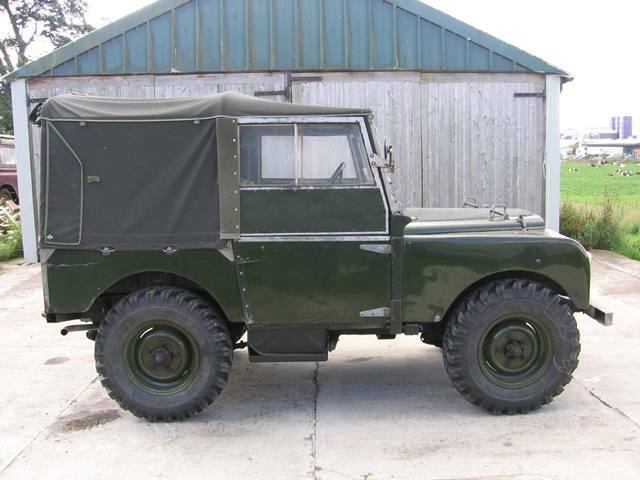 In that time it has been used for everyday transport, greenlaning, towing, trialling and even as a wedding car. 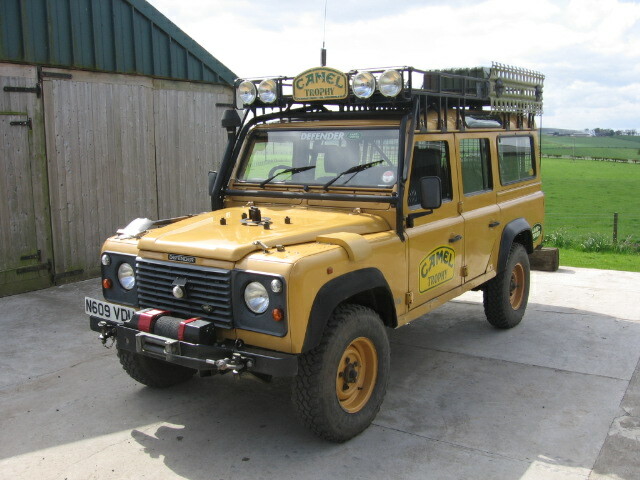 The Land Rover has had a few modifications over the years, either due to lack of availability/cost of spare parts or just to improve its performance. When play in the steering box became excessive I fitted a later Series IIA recirculating ball unit to replace the vintage worm and nut 80" steering box. This was the single best improvement I have made to the Land Rover giving it nice light and precise steering. The only downside to the conversion was that I used a late IIA box and so had to use a later steering wheel that spoils the interior somewhat. However, if you can find a good earlier Series Two steering box then you can fit an original wire spoked steering wheel. When the front axle was rebuilt we decided to replace the old cone and spring swivel pin arrangement with a later Railko bush system. 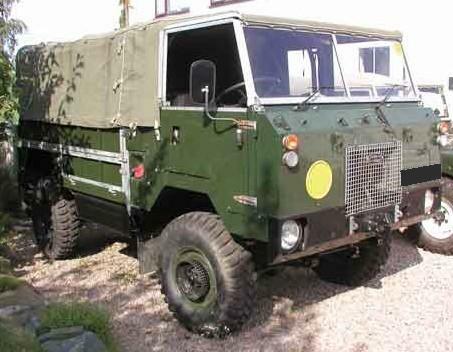 This was available as a conversion kit back in the 1960's and used until the end of the Series Three production run. It gives very slightly better steering damping and is much easier to set up and maintain than the old cone and spring system, although both systems work well if properly maintained. 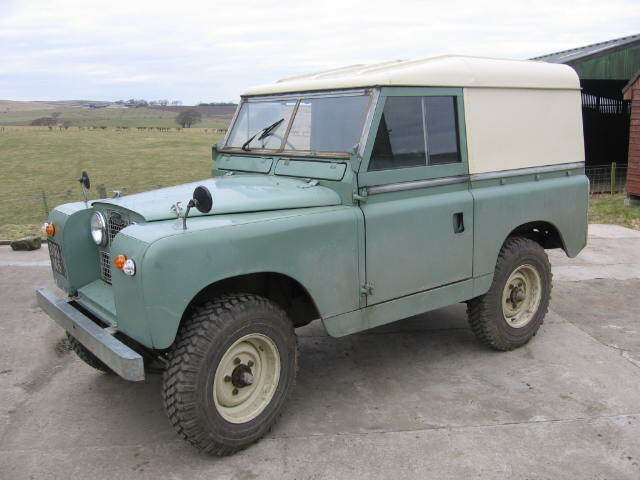 The Land Rover has later wheel rims from a LWB and 7.50x16 Firestone SAT tyres from its days as a trialler. The SAT tyres are really excellent in the mud and actually quite hard wearing on the road despite the aggressive tread pattern, although they need to be treated with care on wet roads. 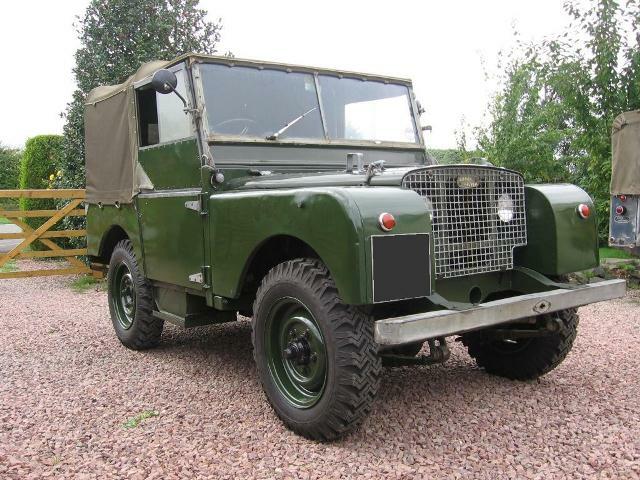 The Land Rover has a slightly later 1955 2.0 litre inlet over exhaust petrol engine which although very similar to the original engine has a number of advantages over the earlier unit. 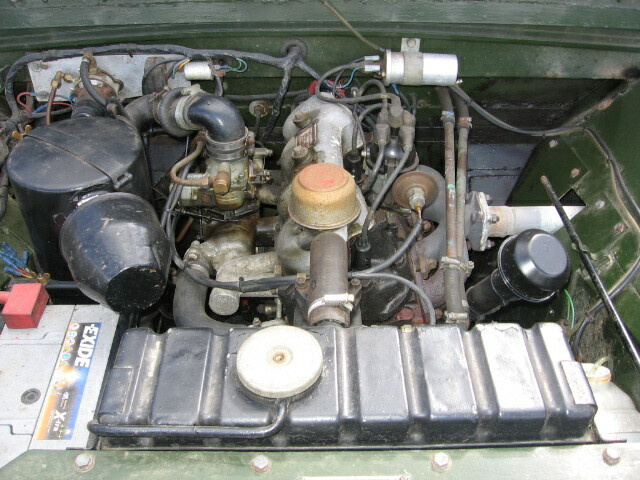 The later 'spreadbore' engine has greater spacing between the cylinders than the original engine and so is less likely to blow cylinder head gaskets or suffer from bore scuffing due to overheating between cylinders. It also has a full flow oil filter that uses paper cartridge elements that are readily available and cheap. I rebuilt the engine around 10 years ago and it has run perfectly since then, requiring nothing more than regular servicing. I had a few problems with the dynamo regulator unit and decided that I would upgrade to an alternator which also gives greater charge current. 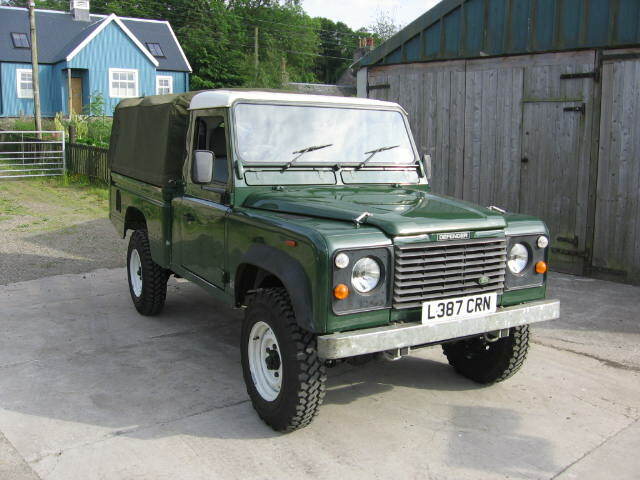 The 2 litre engine is well suited to the light 80" and makes the Land Rover quite nippy to drive on the road but also with plenty of low down torque it performs very well off road or towing. The fuel economy averages out over a typical year at around 22mpg, which I think is perfectly acceptable for this type of vehicle. After breaking a few rear halfshafts when trialling and having issues with leaking hub oil seals the original rear axle was converted to take later fully floating halfshafts. This was done using later Series IIA stub axles and hubs with a spacer to allow the slightly longer fully floating halfshafts to fit. The spacer can be fabricated from a Series Three drive member by removing the outer flange for the hubcap and turning a recess into the external face to fit the drive member. The main problem we had was sourcing replacement drive member bolts of the correct length and thread. We chose to use Series IIA hubs as they had the same wheelnut stud thread as the front axle so that wheelnuts were kept the same for both axles. We have actually fitted late Series IIA wheelnuts that have the same thread as the Series One but a larger diameter nut. 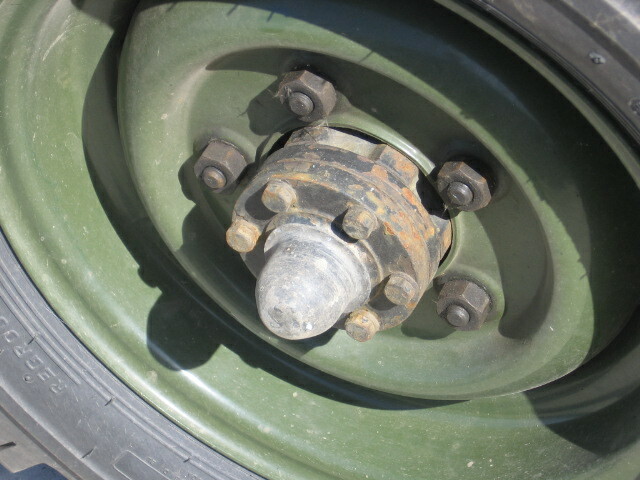 These later wheelnuts are recommended if you fit later LWB wheel rims. The conversion has worked well over the past 10 years and given us no problems whatsoever. The later taper roller wheelbearings are much stronger than the old bearings and maintenance is a lot easier. 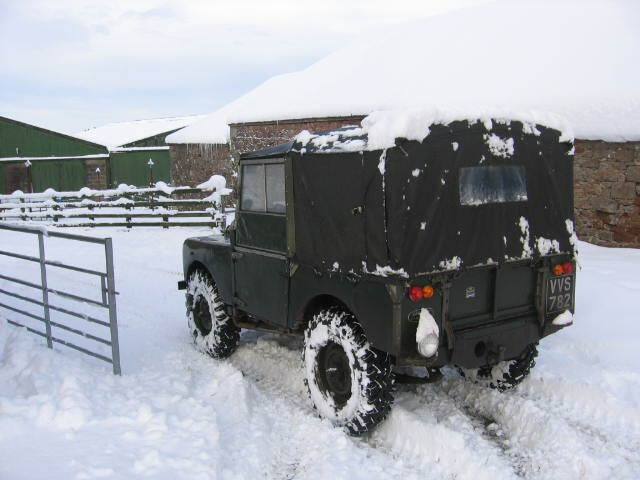 The old 80" Land Rover still gets used regularly throughout the year, from Summer road runs to recovering stuck vehicles in the depths of the Scottish winter. It always starts on the first turn of the starter, even in the very cold winter we had in 2010 up here in Scotland. The 80" can suffer from some mild carburettor icing in the winter months, which we solve by blanking off the radiator grill and running a pipe from the air filter pre-cleaner to take warm air from the exhaust manifold. The chassis and bulkhead are given a yearly Waxoyl treatment and with regular maintenance and use it should be on the road for many years to come.